In order to achieve your financial goals and work towards turning your dreams into a reality someday, it is important to make the right investments. 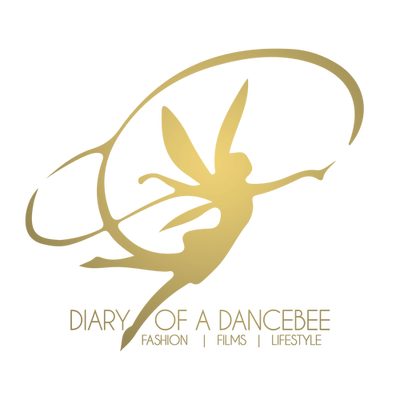 However, the road towards your dream can be full of hurdles, especially in the form of risks and uncertainty. Hence, one needs to carefully choose a plan, in order to ensure that you not only enjoy protection and growth, but also the flexibility of investing in various stable options; without worrying about market upsides. At an exclusive event in Mumbai last month, which had some fun activities in store for us (and tons of followers across social media), Bajaj Allianz Life Insurance launched an all new unit-linked endowment plan. 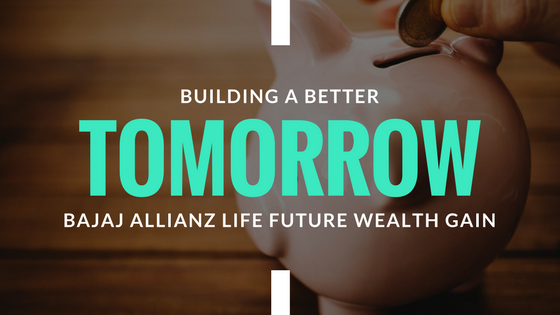 Titled Bajaj Allianz Life Future Wealth Gain, the plan aims to provide the cushion of security and growth, in order to meet your future financial goals. The plan offers a choice of two variants - ‘Wealth Plus’ and ‘Wealth Plus Care’. It further aims to maximise your wealth by investing in capital markets, in order to help you achieve your financial goals, besides providing protection to you and your loved ones. 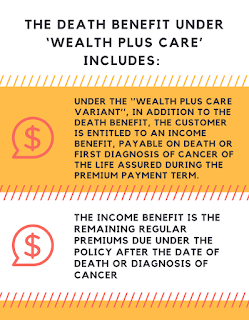 Future Wealth Gain is a non-participating ULIP plan with a regular and limited premium payment option. As maturity benefit, a person will receive the Fund Value plus top up premium fund value, if any as on maturity date, including Loyalty Additions. The Loyalty Addition helps one get higher returns, as it provides upto 30% of one year’s premium for a policy term of 25 years, which is payable at the end of every five years (starting from the 10th policy year). To enhance fund value, Future Wealth Gain also offers Fund Boosters, that will be added to the Regular Premium Fund Value on maturity when all premiums have been paid up to date and the policy is in-force. Fund Booster returns are as high as 90% of one year’s premium, if the policy term and premium payment term is more than 15 years. 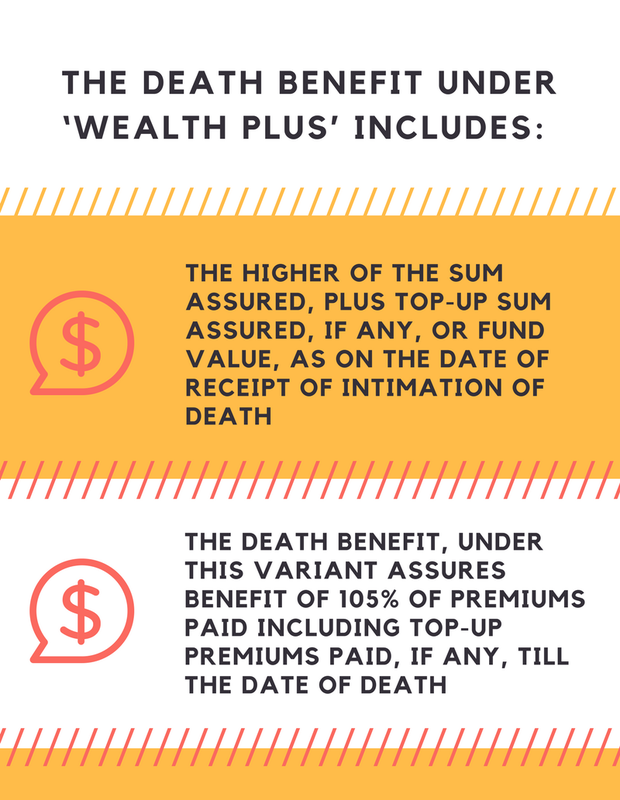 The minimum premium for Future Wealth Gain is capped at Rs.50,000 annually. The maximum policy term is 25 years and the minimum premium payment term is 5 years. This plan comes with the option to take maturity benefit in instalments (Settlement Option) over a maximum period of 5 years. 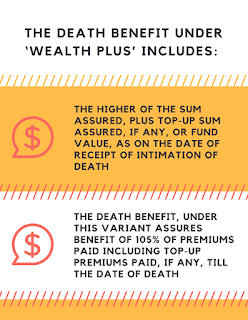 A 30-year-old male buys the Bajaj Allianz Life Future Wealth Gain policy with Wealth Plus variant and chooses to pay an annual premium of Rs.50,000 for a 15 year policy term. The premium will be invested in Investor Selectable portfolio strategy, the maturity benefit available will be Rs.12,76,128 (at 8% return), and Rs.9,35,741 (at 4% return). On Maturity Date, a person will receive the Fund Value plus top up premium fund value, if any. With this product, the Company has also introduced a New Fund - Pure Stock Fund II, apart from seven other fund choices previously available with the Investor selectable portfolio strategy. The Wheel of Life portfolio strategy is also available to the investors. Here, the regular premium fund value and top up premium fund value, if any, will be reallocated among various funds in the pre-defined ratio based on years to maturity.